It doesn’t seem possible that Jonathan was once a little boy. Without the beard, the additional 2 feet of height and the booming voice, I wouldn’t know him. 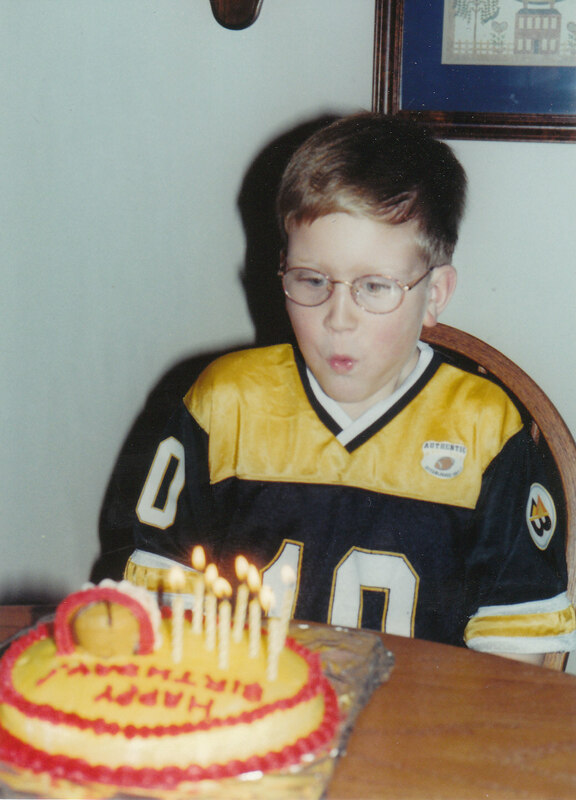 Wearing football apparel and a basketball cake, you would think that he enjoyed sports.